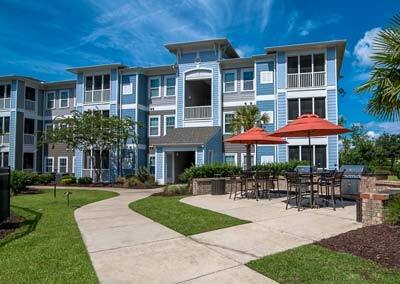 In need of corporate rentals in Myrtle Beach, SC? At ACRS, we provide the temporary housing alternative to expense hotel rooms. At the Latitude at the Commons, choose from one, two, and three-bedroom corporate rentals available. Each apartment is customizable to fit the needs of your company while still providing the comforts of home. The Latitude at the Commons provides fully furnished homes complete with housewares and utilities. Our community is just minutes from the beach and the area’s major roadways, making daily commutes easy while still being nearby to the beautiful sights of Myrtle Beach. Contact us today to learn more about our corporate rentals!